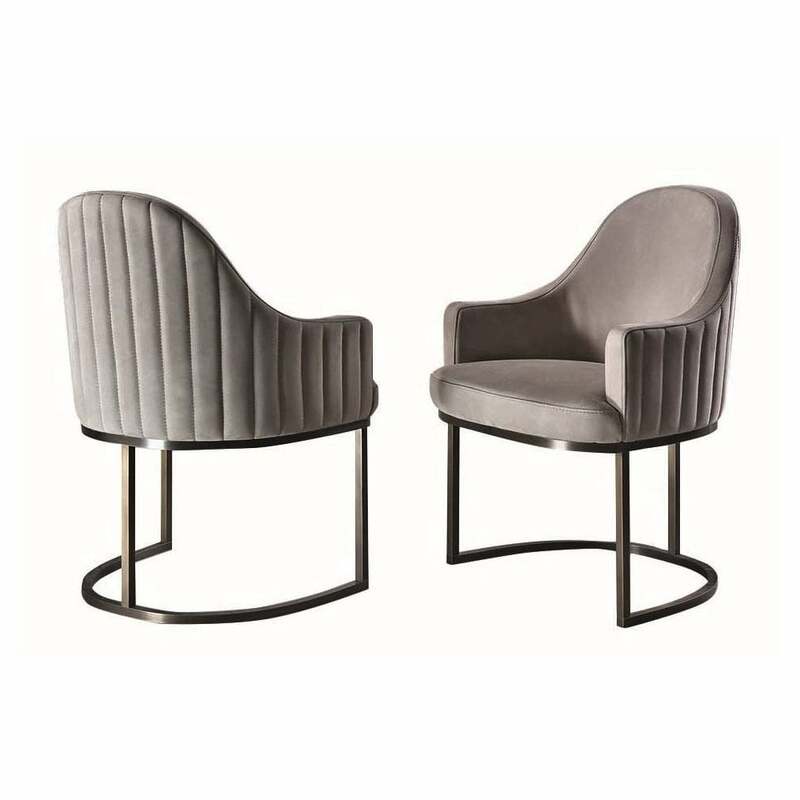 Inspired by the art deco period, the Isabel Dining Chair draws upon the influence of this era of design. With elegant, curved lines and refined shaping, Isabel will make the perfect addition to a sophisticated dining space. Upholstered in precious nubuck leather, the backrest is quilted with soft goose down for maximum comfort. Complemented by a titanium base, this radiant metal works beautifully against the textured leather. The Isabel Chair can be upholstered in a variety of precious fabrics and leathers. The base is also available in an on-trend burnished brass. Get in touch with our team for more information and advice.